While human habitation of Taiwan reaches back only a few tens of thousands of years, denizens of the island historically formed themselves into many groups, which then created their own cultural traditions. The Anthropology collection and related research at the NTM reflect the story of human development in Taiwan. While the anthropological history of Taiwan may be shorter than that of elsewhere, it is rich in ethnic interaction and cultural contact. 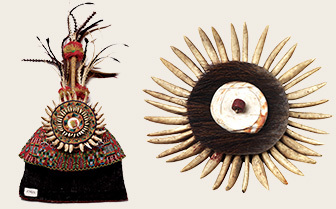 With over 40,000 items in the Anthropology collection, the complex history of the first inhabitants is well represented. Relics of Tsuo-Chen Man and farm implements from northern Taiwan dating to the Neolithic Era representing the Yuan-Shan Culture are among the finest prehistoric artifacts held by the NTM. Indigenous peoples are foremost in representing the variety found in Taiwanese culture, and artifacts from these peoples are among the most prized in the NTM Anthropology collection. The provenance of these 7,000 pieces of Taiwanese indigenous heritage stretches across 20 centuries. This is the most extensive and chronologically far-reaching collection of indigenous artifacts in Taiwan; it stands as testament to the rich cultural traditions these peoples practiced. In the modern era, interethnic contact became more commonplace in Taiwan. In the 17th century, Dutch and Spanish explorers, as well as immigrants from mainland China, began to leave indelible traces, many of which are left as artifacts now in the NTM collection. 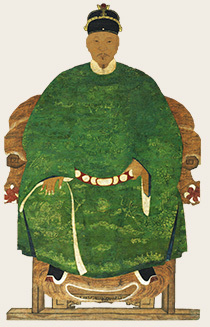 Among the most treasured are the Qing Dynasty “Portrait of Koxinga” (Zheng Cheng-gong); the scroll “Map of Taiwan during the Reign of the Kangxi Emperor” (included in the Kang-xi Jesuit Atlas), which depicts the island during the early 18th-century under Qing’s rule; and “The Flag of the Formosan Republic”, which reflects local opposition to the island’s cession to Japan as per the terms of the Treaty of Shimonoseki. Artifacts post-1945 include common implements from both Taiwan and southern mainland China. Starting with the 1950s, the collection also includes items of North American indigenous peoples, books of the pingpu (“plains indigenous”) Lahodoboo tribe, and artifacts from across Southeast Asia and the Pacific during those periods under Japanese rule. Together, these form the rich Anthropology collection, which reflects human history as it has played out in Taiwan. In 1968, a Rumphius’ slit shell (Entemnotrochus rumphii Schepman, 1879), discovered offshore of Keelung City set off a wave of interest in conchology. In 1970, the Conchology Society of Taiwan was established at the suggestion of Mr. Liu Yan, former curator of the NTM. Based in the Museum, the society became an important research center and won high praise and commendation from the international community. In 1971, fossil fragments were discovered in the bed of the Tsailiao River in Tsuo-Chen Township, Tainan County. The Museum formed a team to retrieve the finding and excavated many rhinoceros fossil skeletons. Those fossils were identified as the subspecies of the Chinese Rhinoceros (Rhinoceros sinensis hayasakai Otsuka and Lin, 1984). This discovery has been extremely important to the paleontology of Taiwan. 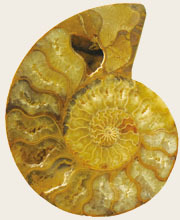 The earth science collection in the NTM comprises the following four categories: fish, mollusks, fossils, and minerals. There are a considerable number of fish and mollusks in the collection, of which the local ones are of particular interest to researchers. As regards paleo-organisms, the collection includes fossils of large mammals recovered from the Penghu Channel and fossils excavated from the Tsailiao River bed in Greater Tainan. These specimens show the great changes that the environment in Taiwan has undergone since the start of the Quaternary Period. The mineral collections include Hokutolite and Penghu veined stone. “Biodiversity” indicates the variety found in living things: plants, animals, and micro-organisms, the genetic information they contain and the ecosystems they form. Biodiversity can be explored at three levels– genetic, species, and ecosystem. These three levels work together to create the complexity of life on Earth. Taiwan, whose area is but 36,000 square kilometers, has an amazingly diverse natural environment, terrain, climate, and vegetation and is thus endowed with ecosystems that range from the tropical to the alpine. Its high proportion of endemic species and sub-species makes Taiwan unique. Since 1908, the museum has had a Zoology Department, which has focused on research, collecting and exhibiting specimens, and educating the public. Work in this realm concerns mainly investigations on animals and biodiversity, with emphasis on the endemic fauna of Taiwan. The zoology collection is divided into seven categories: mammals, birds, amphibians, reptiles, crustaceans, insects, plants, and models. Among the items in the collection, insect specimens are most numerous, while bird and animal specimens are most distinctive, as they include rare and critically endangered animals including endemic species or sub-species, for example, the Formosan Clouded Leopard (Neofelis nebulosa brachyurus), Chinese Otter (Lutra chinensis), Mikado Pheasant (Syrmaticus mikado), Swinhoe’s Pheasant (Lophura swinhoii), and Broad-tailed Swallowtail Butterfly (Agehana maraho). These specimens are key to biodiversity and animal-related research in Taiwan. The Botany Department was also organized in 1908. The museum’s first director, Takiya Kawakami, and museum staff Yaichi Shimada, Syuniti Sasaki, Nariakira Konishi, and Ushinosuke Morri were very active in researching plants in Taiwan and created a basic taxonomy of Taiwanese botanical diversity. They were collectors who made a great contribution to botanical research in Taiwan. After Taiwan’s Retrocession, NTM Director Chen Chien-shan invited renowned botanist Mr. Liu Tang-jui to work for the Museum. Mr. Liu taught and mentored many students, training the next generation Taiwanese plant taxonomy researchers. Famed botanists Prof. Liao Ri-jing and Prof. Huang Tseng-chieng both studied under Liu. It can be said that the NTM was the cradle of botanical diversity research in Taiwan. Apart from research in the field of traditional vascular plants (ferns and flowering plants), algae (including seaweed and micro-algae) research is also seen as important and focuses on in-depth investigation, collection, and identification. To advance botanical research, many natural history museums feature a herbarium. The NTM is no exception, hosting the “Herbarium of Taiwan Museum,” which is listed in the “Index Herbarium” as TAIM. Botanical specimens are mainly vascular plants (ferns and flowering plants), bryophytes, and algaes (seaweed and micro-algae.) Specimens come in dry, wet, and slides. Most bryophyte specimens were collected by the pioneer bryophyte researcher, Prof. Wang Zhong-kui, Prof. Lai Míng-zhou, and Prof. Lin Shan-xiong. The seaweed collection is the result of recent research efforts and includes many newly-recorded species.